Moving can be rough if you’re doing it with no professional movers. It’s even more difficult if you have smaller children. So how do you tackle the task with ease? Look no further! Get your packing started ahead of time. There’s no reason to wait until the last minute to move. The day you decide to move should be the same day you start planning your move, even if you’re just sorting through your things. It’s never too early to begin. 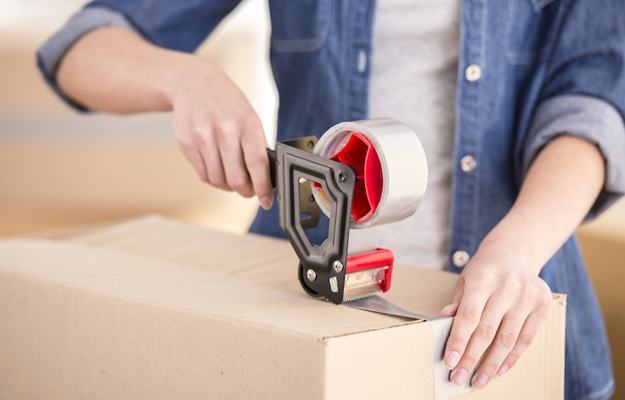 Get started by calling moving companies for quotes and gathering your supplies. You can start by packing up special items, china and other keepsakes. Take things you don’t need down. Knick-knacks, wall décor, photos, and anything that is used for decoration rather than utility can be packed away. Wrapping up knick-knacks and boxing up your home library of books takes a lot of time and doing it now will significantly cut down on your stress levels later. Your home may feel empty for a little while, but it’ll be worth the headache you saved later on. Sell things. As you’re in the early stages of packing and moving, start going through your things and decide what you don’t need or forgot you had. Selling and donating items will save you from having to move them on moving day. Host your garage sale early on and spend the time, while you have it, listing on Craigs List and your buy, sell and swap groups. This won’t be something you will have the patience or energy for further along into your moving process. Keep the necessities separate. Anything you NEED on a daily basis (i.e. toothbrush) should be saved for last and kept separate from everyone else. Why? To have easy access to it! What a convenience it will be to know exactly where those items are after you move. Keep a special bag or box for these items that is pre-labeled so you can throw everything in there on the day of your big move. You don’t want to have to go searching around for something to store these items in later. Have the utilities ready. Before you move, make sure to have water, electricity, and any other utilities you may need (Wi-Fi) transferred and/or scheduled prior to moving in. Don’t leave yourself sitting in the dark. What tips do you have for a smooth move?